How Do You Face Life’s Challenges? Here is a story conveyed to me some time ago. I have been reflecting on it a great deal recently and I sincerely hope that it will be of benefit to you as difficulties arise in your life. On a migratory journey down south, a bird decided to leave his flock believing that he could reach their intended destination quicker. 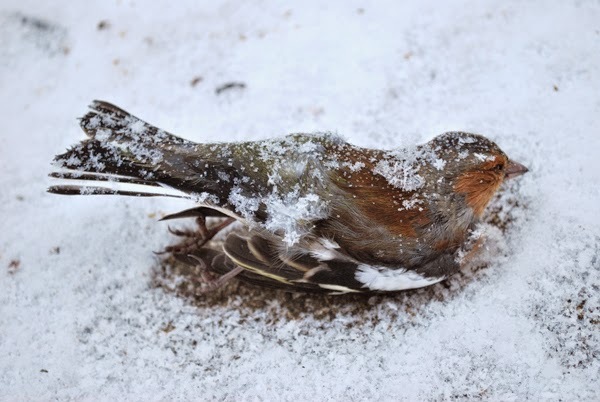 While in flight through a cold winter spell his wings became stiff and started to ice over. He noticed a peaceful patch of land near a farmhouse and decided to land to de-ice his wings. Shortly after landing in the field, a very large and somewhat unimpressive cow wandered over. She asked the bird what was he doing to which he sarcastically replied, “I am trying to thaw my feathers so that I can continue on my journey south. Why else would I be here in winter?” He went on to convey to the curious cow that he should have never left his flock because he has done nothing but waste time especially speaking with her. The cow, with very little expression, told him that she understood not bothered at all by his sarcasm. She then turned around and proceeded to drop a large amount of “dung” on top of him then walked away very casually. The bird was both shocked and angry. The odorous, hot manure dumped on him was an awful thing to do he lamented. What a worthless, miserable old cow to do such a thing. The emotion consumed him as he now had to clean the smelly dung from his wings. Shortly there after, a cat wandered over to him. He stated to the bird that he had observed everything that had transpired. He also stated that it was an incredibly mean-spirited thing for the cow to do. 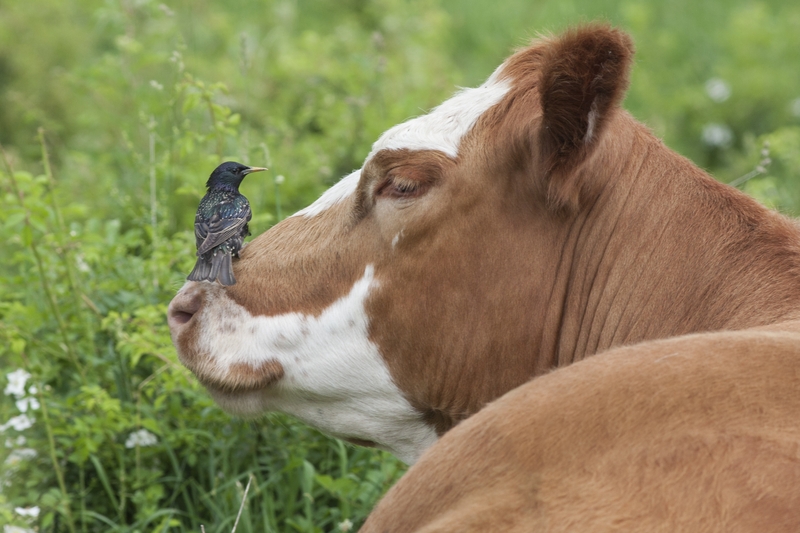 The bird agreed and expressed how much difficult the cow had made life for him. The cat then offered his assistance in cleaning the dung off of him. He stated that he could lick that off of him in no time at all and he would be free to be on his way. 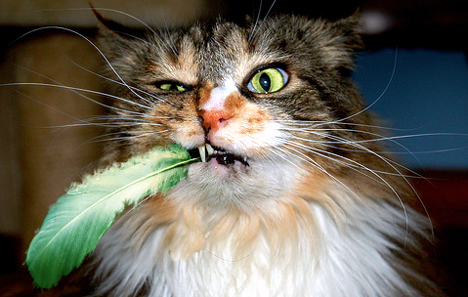 The bird accepted the cat’s assistance with very little thought at all. He felt that he had wasted enough time in that field and could not stop thinking about the choice he had made with respect to leaving the flock. The cat promptly kept to his word and cleaned every bit of the manure from his wings. The bird was elated, and could not thank him enough. He then prepared to take flight again to get back on his journey. It was in that moment the cat displayed all of his teeth dripping with saliva. He grabbed hold of the bird and swallowed him whole. You may have heard of this fable before or some variation there of. I am sure that the meaning of it is quite clear to you. For me, it was quite profound as it helped me to see life in a different light. The problems that I had in my life were not necessarily a bad thing. Like the ice on the bird’s wings they provided the means for me to learn from and grow wiser. Also everyone who has made my life difficult or I believed made my life difficult, whether intentionally or not, had actually provided me with an opportunity to learn, grow stronger and mature. Much like the bird, we don’t recognise the benefits of something done to us (or for us) because of the stench or pain associated with it. Conversely, everyone (or everything) that seemed great and beautiful that wanted to make my life easier wasn’t necessarily helping me. “All that glitters is not gold” as they say. Wisdom and knowledge are derived from our struggles and our ability to accept “what is” and move on from it. Looking back and regretting the choices we have made can be an exercise in futility and a waste of much needed energy. We may lose faith, stumble and fall from the overwhelming weight of our situations at times but we must continue on. Success and happy endings are never guaranteed but the journey itself is what’s important and how we conduct ourselves along the way. As for the problems we face? There will always be problems but in difficult times I try to reflect on the words of Shakespeare’s Hamlet – “There is nothing neither good nor bad but thinking makes it so”. How you view an event is what determines the reality of it to you. I realise that these are merely words and can seem useless to someone who is “walking through fire” so to speak. But in them one may find hope and faith. For without either of these we truly are doomed and we condemn the world around us as well. I wish everyone good health, strength to overcome difficult challenges and the wisdom to grow and learn from them. What Monster Have You Created?